What is the CPP Seminar? The CPP Seminar is an 8 hour session for the purpose of training organizational leaders on the methodology, content and strategies necessary for implementing the CPP. Participants will learn about abuse awareness, case studies, outdated information and tactics, CPP goals, implementation strategies and self-assessment process, and receive sample forms, training content, a full color workbook and digital copy. The CPP was developed by Kanakuk Kamps under the direction of Rick Braschler, Senior Risk Consultant, Subject Matter Expert and the Director of Risk Management for Kanakuk Kamps. Rick has over 25 years experience in safety and risk management working with youth serving organizations. The CPP was developed in response to first-hand abuse experience, drawing from thousands of hours of team research, and based on sound guidance and research from abuse industry experts. The CPP seminar is for board members, administrators, directors, and leaders of youth serving organizations responsible for managing facilities, directing operations, hiring staff, and supervising youth workers and volunteers. How is it different from other safety systems or programs? 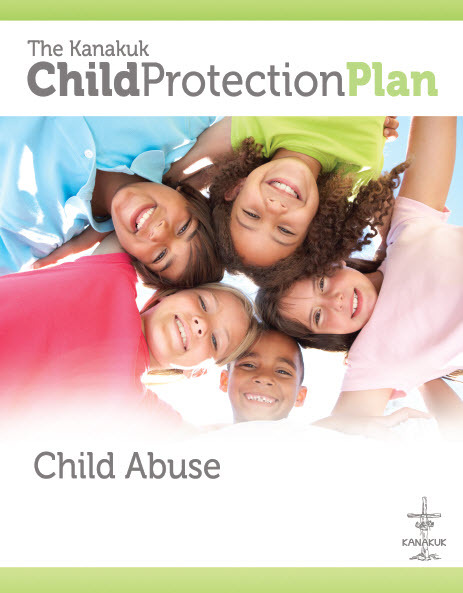 Drawing from the knowledge and expertise of industry and topical experts, the Child Protection Plan was then developed and assembled in-house to be doable, affordable, reasonable and sustainable. Rather than a list of forms and policies on a broad spectrum, the CPP provides measurable, step-by-step initiatives to directly address root causes and contributing factors which are synonymous with episodes of organizational child abuse. Why don’t background checks accurately report prior deviant behavior? What can a child, parent or staff do to recognize, resist and report suspicions or actions of abuse? Why don’t bystanders report suspicious behavior? Will my hiring practices cause a would-be molester to “opt-out”? Why don’t rules that address inappropriate conduct work? What is the difference between normal relationship building versus grooming behavior? Why can’t I tell the difference between a good person with good intentions, and a bad person with bad intentions? Do my facilities create an unwelcoming presence for abuse activities? Do I have insurance that covers this? How long should I archive records, and what records should I keep? What types of acquaintance molesters are there, and how should I prevent or detect them? Please contact Rick Braschler at rick@kanakuk.com, or 417-266-3337, for more information. The Kanakuk Child Protection Plan is provided for informational purposes only and does not constitute legal advice or professional opinion on specific facts. Information provided on this website or in Child Protection Seminars may not remain current or accurate, so recipients should use this information only as a starting point for their own independent research and analysis. If legal advice or other expert assistance is required, the services of a competent professional should be sought.